My idea to write this blog came to life while reading The Help. I loved it so much I wanted to share it with others and so The Reading Experiment was born. The Help tells the story of an unlikely friendship between two black women and one white woman – Aibileen, Minny and Skeeter – living in 1960s southern America. It explores the treatment of black maids working for white families at a time when the African American civil rights movement was gathering pace in other parts of America but had not yet reached Jackson, Mississippi. It’s a brave undertaking for a white author who was raised in a household similar to those she writes about. Kathryn Stockett puts herself in the shoes of the three central characters who take turns in narrating the story. She creates vivid characters who come to life on the page. It’s easy to love Aibileen, Minny and Skeeter, each with their own voice so distinct that we scarcely have to be told as the story moves between them. So too Celia Foote, the Marilyn Monroe-esque newcomer to town who faces her own form of discrimination. Then there’s the evil Miss Hilly and her ability to strike fear into the hearts of the women of Jackson – both black and white. Stockett has written her book with care, sensitivity and empathy, rounding it off with a sprinkling of humour. Just what is the “terrible awful” that Minny is so worried about? Thank you to Danielle for recommending this book to me. 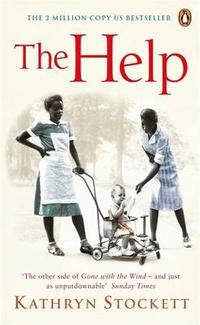 Would you like to read The Help? *Please note: I have selected these sites to give you access to low prices. You won't pay any more if you buy this book from these sites, but they will give me a small referral fee (approx 5%). Borrowed this after reading your review and absolutely loved it! Fell in love with the characters, who were so vivid and really came to life. Sad when it ended and curious now to see whether the movie does it justice - esp Emma Stone (girl crush). Thanks for the recommendation! I'm so pleased you enjoyed The Help! What a great book. It inspired me to start this blog. I have not yet seen the movie but I hope to soon. Thanks for taking the time to share your thoughts. If you ever have any suggestions for books I might like to read please let me know, I'd love to hear from you. Moving story with thought-provoking content. Beautifully written in colloquial vocabulary. Scary how recent the setting was and how real the characters were portrayed. I gobbled the book down and then sent a copy to My Constantine, who had already seen the excellent movie.